Support Crew Tuesday Tutorial: who is Support Crew for? 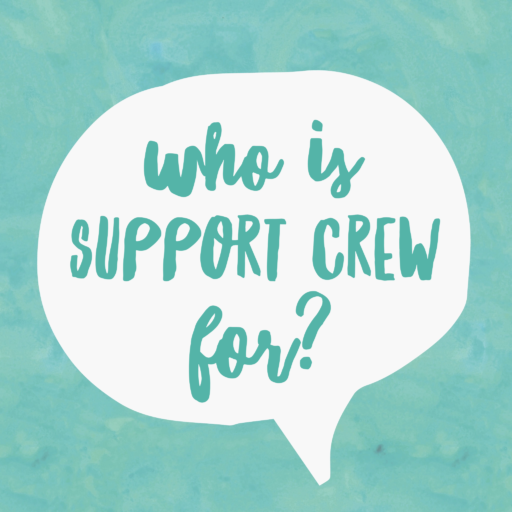 BlogHome » Blog » Blog » Tuesdee Tutorial: Who is Support Crew for? Tuesdee Tutorial #2: who is Support Crew for? So we’ve decided that on a Tuesdee, previously known as Tuesday, we’ll be answering the questions we get asked the most. Sound coolio? 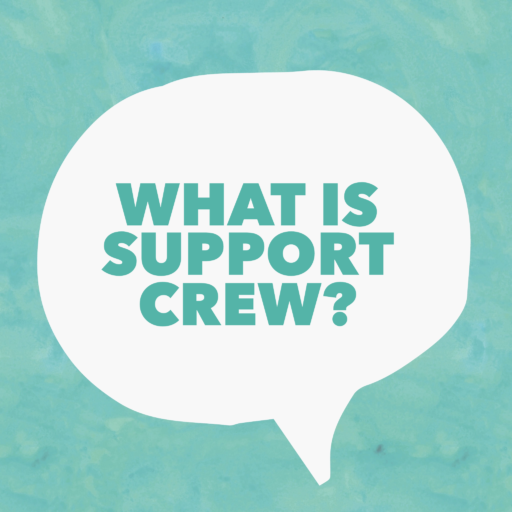 So, here goes…Tuesdee Tutorial #2: Who is Support Crew for? 1) anyone dealing with a life changing event – a Warrior. 2) their carer/caregiver/chief support person – a Support Chief. 3) their support network – their Support Crew (their friends, family, neighbours, colleagues and community) – no matter where in the world they might be. So basically, Support Crew is for anyone! Your life changing event could be health (like cancer, Alzheimer’s/Dementia, MS, sick children, depression/anxiety); life (like a new baby, multi-births, redundancy, bereavement, or divorce/separation); or nature related (like floods, earthquakes or fire). Any time you find yourself in a situation where you need help from those around you. promote other ‘admins’ so they can invite other groups of friends/family to the Support Page which you might not have direct access too. For instance, the work colleague to invite all the colleagues, the school friend to invite all the old class mates etc. So now you can see now why we say Support Crew makes it easy to give and get a hand! For everyone! Tuesdee Tutorial: What is Support Crew? 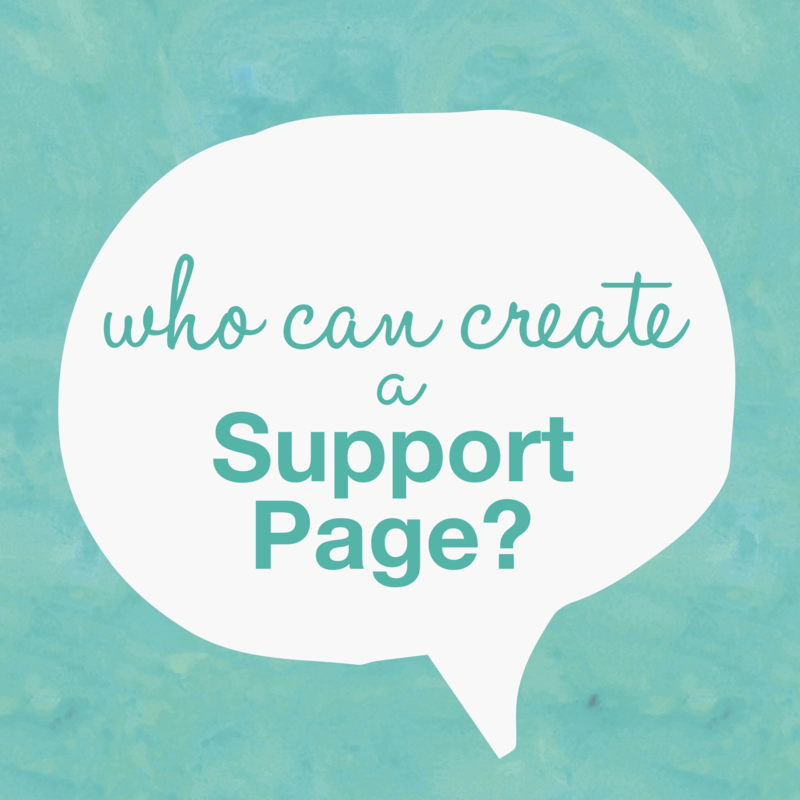 Tuesdee Tutorial: Who can create a Support Page?